Justin and Lexi Clark aren't just in a race against giant axonal neuropathy, the disease that could kill them. They're in a triathlon. 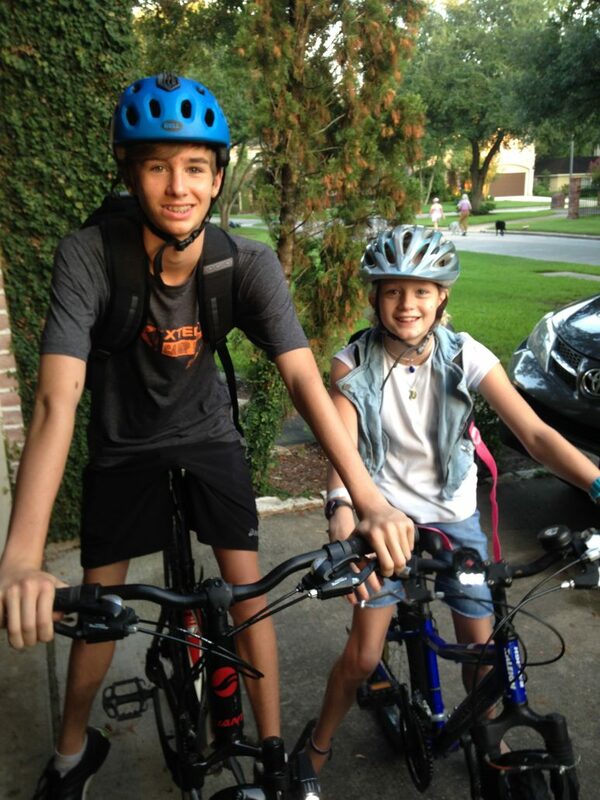 Justin Clark, 16, and his little sister Lexi, 12, should be in wheelchairs. Most kids with giant axonal neuropathy (GAN), a fatal genetic disease, stop walking at age 10. When they hit their 20s, they can’t eat or breathe on their own. They’re hooked up to feeding tubes and ventilators. Vocal cords paralyzed, they can’t speak. But Justin and Lexi are lucky. Justin’s on his varsity swim team and mans the spotlight during his school’s theater productions. Lexi dances, sings, swims and competes in triathlons. “We have a slow progression,” says their mother, Lagenia Clark. “We don’t know why, but we’re grateful.” And the slower GAN progresses, the more likely it is a cure will be found in time to save the Clark siblings’ lives. 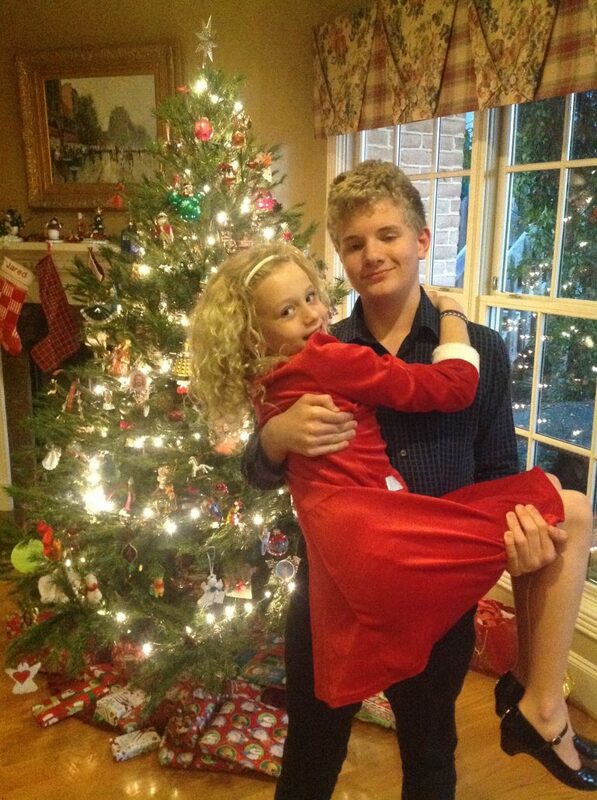 Lexi and Justin at Christmas. It’s a balmy summer Tuesday evening, and air conditioning blasts through the family room of the Clark’s home in Houston, Texas. Justin lounges in an oversized leather chair. His twin brother Jared–who is a carrier but does not have GAN–sports a triathlon T-shirt and gym shorts. Lexi sprawls across floor next to Reese, the family’s toy poodle. It was five years ago when Justin, then 11, started tripping and falling at school. His arches were so pronounced he couldn’t walk normally. His doctor thought it looked like a classic case of CMT, an inherited neurological disorder that’s serious, but not fatal. Test results were inconclusive, and the pediatric neurologist told Lagenia and her husband, David, to get whole genome sequencing. The doctor said the test, which had only been available to the public for 18 months, would give them information about their genes, and they hoped also shed more light on Justin’s condition. Results revealed Justin had GAN, a rare disease that results in progressive nerve death. Lagenia and David each have a recessive gene for GAN, but are healthy. They were floored. No one in their extended family had ever had a neurological disease. Still, they couldn’t do nothing. So they picked themselves up and started a charity. 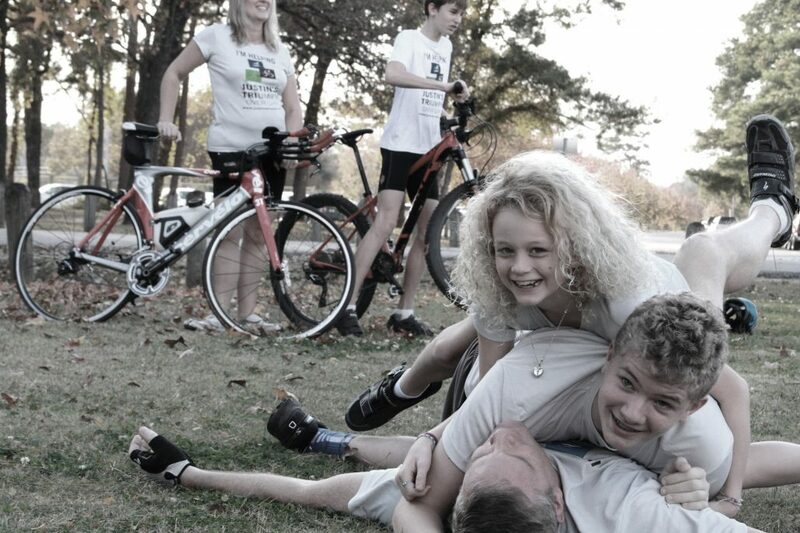 Jared racing in a triathlon to raise money for GAN research. 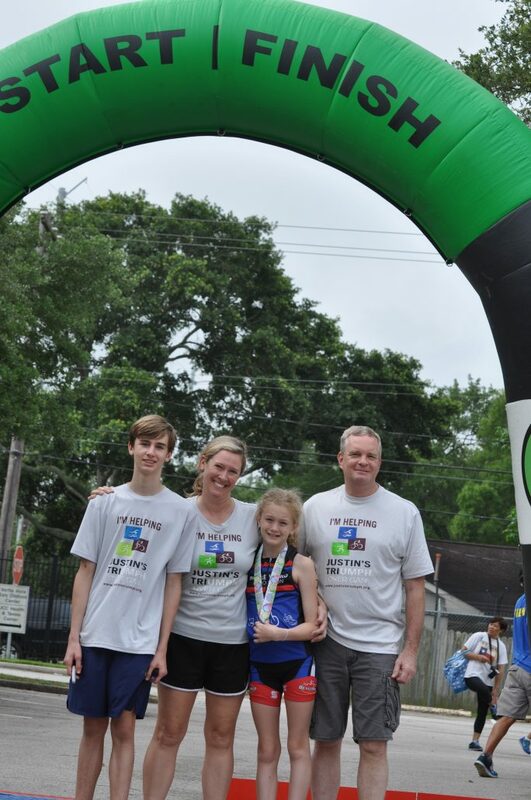 Their group, Justin’s Triumph Over GAN, uses multisport races to raise money for research into Justin and Lexi’s rare disease. Jared, who’s always been athletic, has jumped into the cause. 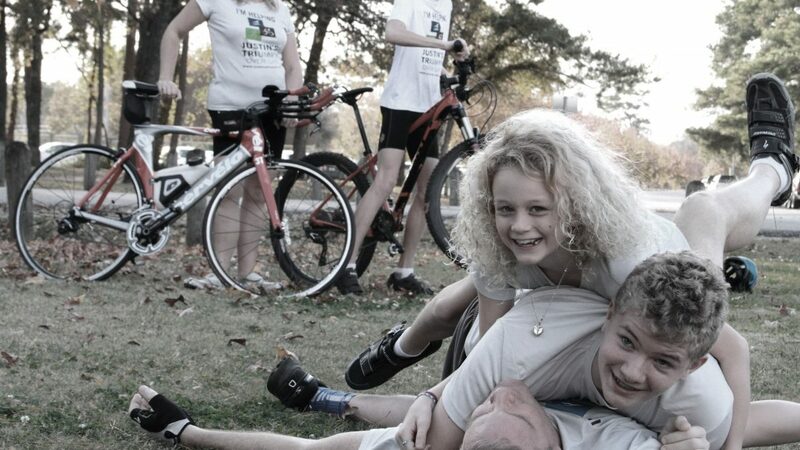 He’s participated in dozens of half Ironmans and Olympic distance triathlons under his motto, I Tri for GAN, to raise money to help his siblings. “I started doing triathlons when I was seven,” Jared says. Jared competed in his first adult race when he was 9. Now, he’s creator and captain of his high school triathlon and mountain biking teams, he’s on the varsity swim team and runs cross country and track. He hopes to become the youngest athlete in the world to have ever completed 100 adult races. At the end of the current season, he’ll have completed 90 multisport races. Justin’s Triumph has raised hundreds of thousands of dollars in the search for a cure for GAN. Jared raised $10,000 alone last year when he organized a Youth Splash & Dash at Houston’s Jewish Community Center for his Eagle Scout Project. It’s now an annual event. Lagenia, David and Lexi have also competed in triathlons. Justin has, but he prefers to just swim. Reese has also helped raise funds during a Doggy Splash & Dash. After registering for a race, triathletes—from pros to first-timers—can sign up to raise money for Justin’s Triumph through the Reason2Race site. All funds go to Hannah’s Hope Fund, a New York GAN non-profit the Carters partner with. Most recently, money has been used to fund pre-clinical work of a GAN gene therapy clinical trial run by the National Institute of Health. Doctors are using a genetically modified virus to deliver a healthy GAN gene to the central nervous system of children with GAN. The Clarks hope Justin and Lexi will be selected to participate in the trial. Jared and Lexi are intent on beating Justin and Lexi’s rare genetic disorder. When they were first diagnosed, Justin and Lexi underwent multiple MRIs. Lexi remembers crying inside the machine. Justin had reconstructive surgery on both of his feet and legs to help him walk. In the family room, he kicks off his sneakers and peels off his socks to reveal his corrected arches. He can’t run anymore though, and he uses controls when he drives. “I’m losing the function in my pinky fingers,” he says.